After your English language learners are familiar with adjectives in general, introduce them to comparative and superlative adjectives. 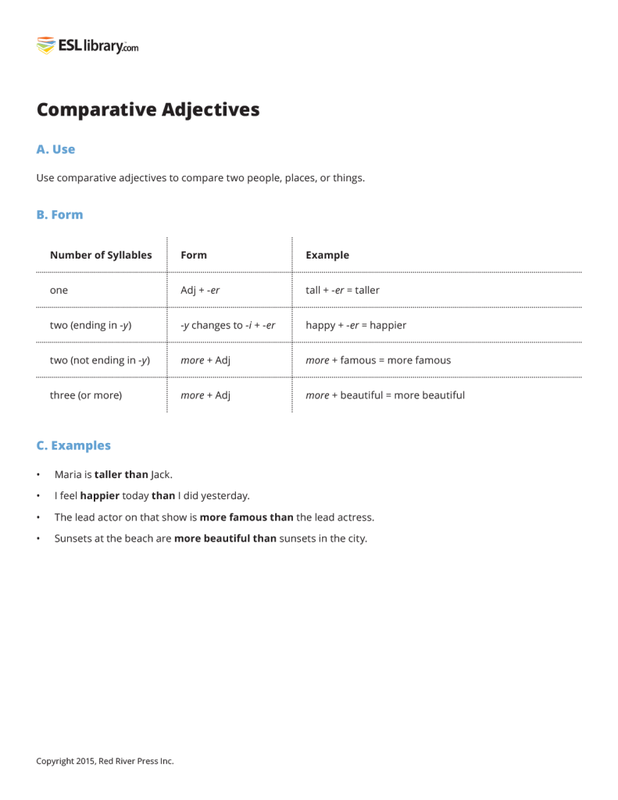 When we want to compare two people, places, or things in English, we can use comparative adjectives. The tricky thing for students is learning when to apply the comparative ending -er. I’ve found that presenting the rules in a chart like the one below helps students clearly see when to use -er or more. Some two-syllable adjectives don’t have to follow the rules above. 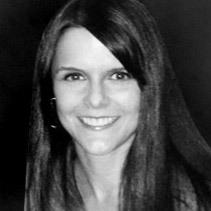 For example, we can say friendlier OR more friendly, and simpler OR more simple. Other such adjectives include angry, cruel, handsome, gentle, and quiet. Jack is not as tall as Maria. I didn’t feel as happy yesterday as I do today. Last week’s test wasn’t as simple as this week’s test. Sunsets in the city are less beautiful than at the beach. You may want to point out to students that there is more than one way to make a comparison in English. For example, Sunsets at the beach are more beautiful than in the city has the same meaning as Sunsets in the city are less beautiful than at the beach.